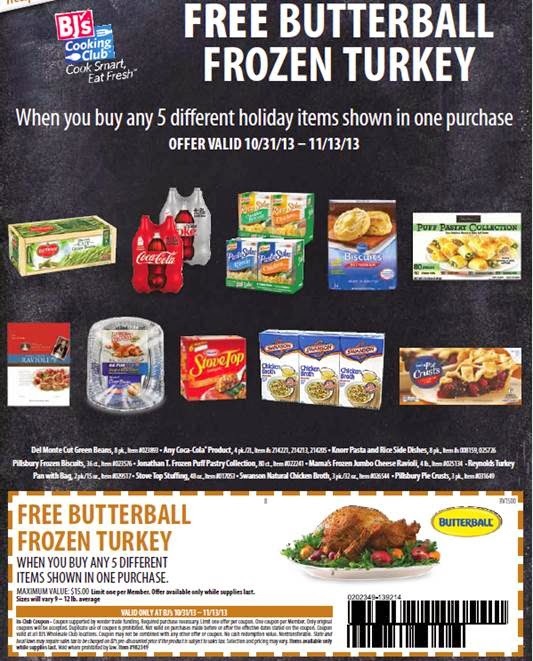 With a purchase of five qualifying products, you’ll get a Free Butterball Frozen Turkey (9-12 lbs.). Stove Top Stuffing- 48 oz. Swanson Natural Chicken Broth- 3 pack/32 oz. The coupon can be used at any BJ’s locations now through November 13. The wholesale club is offering a Free 60-Day Trial Membership, which can be activated until December 31. The risk-free, trial membership consists of full-member benefits and no surcharge.